With the weather turning dreary and grey, rain and snow are often on the cards – and this can take a toll on buildings, especially concrete structures. So, if, over the next few months, you notice these buildings starting to look dirty and in need of some renovation, then you know who to call: your local concrete repair contractors. The weather is one of the biggest means of wear and tear when it comes to concrete structures, causing damage in a number of ways. However, our specialist contractor team can ensure your building is around for years to come. When it comes to the repairs themselves, there are a number of different techniques and methods in use to get your building looking back up to standard. In doing so, our team will need to adhere to the latest regulations and guidelines, to ensure that your building is safe as well as visually appealing, too. Over time, concrete finishes can start to diminish. This is one of the most common concrete repairs our contractors are hired to undertake. Although it isn’t always necessary, a complete resurface (opposed to a small patch repair) will ensure that the issue does not arise again in the near future. Resurfacing of concrete uses a special bonding agent coupled with a thin cement-based overlay that is poured and smoothed over the existing structure. There are many benefits of resurfacing, including affordability, ease of use, durability and more. 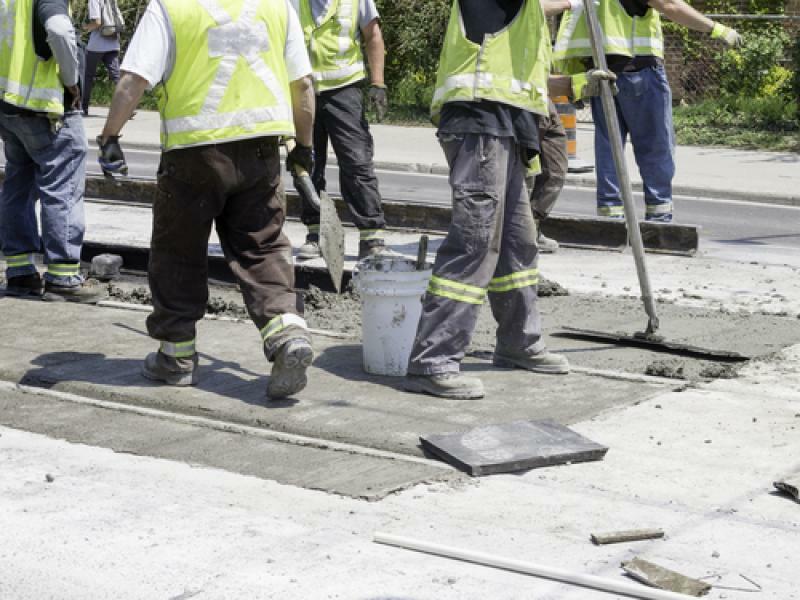 Compared to other solutions for cracked or worn out concrete, resurfacing is much more cost-efficient. Resurfacing can cost significantly less than a full concrete replacement, without the need for additional structural work in the process. Both labour and materials costs are saved as well as improving the visual appearance of the building. The resurfacing process is easy to undertake and a relatively quick solution with long-term benefits. As our concrete repair contractors are highly experienced professionals, they will ensure that your building is left looking as good as new. Concrete is one of the most popular building materials used in construction, thanks to it’s durable, hard-wearing nature. Concrete can cover a multitude of sins while strengthening and reinforcing structural faults with ease. What’s more, the lifespan of concrete is infinitely longer than other materials. There are many benefits of concrete resurfacing. Please contact our team today on 01733 560362 to discuss any repair needs you might have.